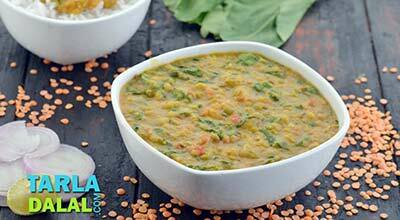 A simple yet hearty dal with the goodness of fresh crunchy cucumber. 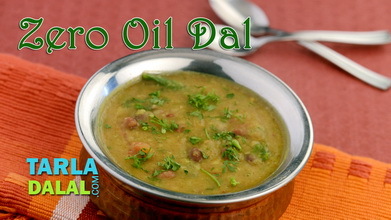 A quick-to-dole-out recipe, so if you are late from work and craving for some piping hot dal, try this one out. It won't disappoint! 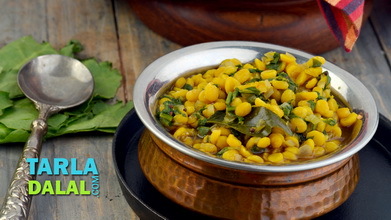 Wash and soak the chana dal in water for at least an hour and drain well. 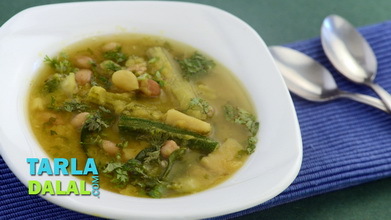 Combine the chana dal with 2 cups of water in a pressure cooker and pressure cook for 2 whistles or till the dal is soft. 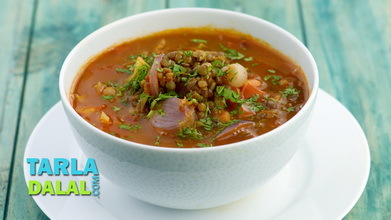 Mash the dal lightly with the back of the spoon and keep aside. Heat the oil in a broad non-stick pan, add the cumin seeds. 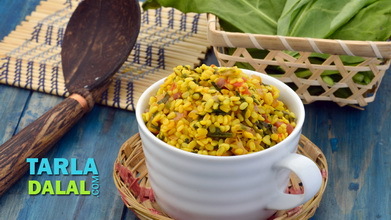 When the seeds crackle, add the cooked dal, cucumber, turmeric powder, ginger-green chilli paste, salt and chilli powder, mix well and cook on a medium flame for 5 to 7 minutes, while stirring occasionally. Add the sugar, mix well and cook on a medium flame for 1 minute.